We get it. Sometimes there just isn’t room in the budget for one more monthly payment, so a professionally monitored security system isn’t an option. Professional monitoring is ideal, but you can still protect your home and family with a self-monitored security system. If you don’t have the budget for professional monitoring, we think you should still be able to check on your home remotely. All the systems we recommend below give you free mobile access and control so you can talk to your pets when you miss them at work, make sure your kids get home from school okay, or call for help if a smoke alarm goes off. Price for add-on plan N/A $9.99/mo. $9.99 to $14.99/mo. N/A $9.99/mo. $9.99 to $14.99/mo. Below you’ll find our top picks for home security without any professional monitoring options. The biggest reason to choose one of these systems is the cost because once you pay for your equipment, you’re done. No worrying about the long-term cost of monthly monitoring fees. A system without professional monitoring is less secure than a monitored system, but you’ll save tons of money. Plus, any security equipment is superior to no system at all. Some of these systems have add-on plans for features like extra storage, but none of them have mandatory monthly fees. We like iSmartAlarm because you can get lots of inexpensive security equipment and check all of it remotely from your phone. iSmartAlarm offers more equipment than the other companies on this list, including door and window sensors, cameras, and smart switches. That said, the equipment is a bit clunky looking, so if aesthetics are important to you, you might want a different system. iSmartAlarm is also a nice option if you don’t want to pay monthly fees for extra features like storage or two-way audio—Canary and Arlo charge extra for features you might want. Canary doesn’t offer nearly as much equipment as iSmartAlarm, but the equipment you can get is attractive, effective, and easy to set up. Canary offers feature-packed indoor and outdoor cameras that include two-way audio and work without a hub. The indoor camera can even monitor air quality and temperature. Arlo’s system is mostly camera based, but it has lots of great cameras to choose from, depending on your needs. The cameras are easy to install and easy to monitor remotely. And cameras have a simple, sleek design that will look nice without drawing attention. Plus, some of the cameras work inside and outside, so you can purchase a set of Arlo cameras and put them wherever you need them most. And while Arlo is mostly focused on cameras, you can also get a security light or baby monitor for extra protection if you need it. The companies below let you monitor your system on your own or add professional monitoring without a contract. These are great options if you can’t normally afford monitoring but want to turn it on temporarily, like when you go out of town. 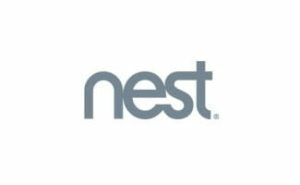 Nest Secure is a perfect system for someone who already has a bunch of Nest products. Your security equipment will integrate smoothly with other Nest devices, so you can control and monitor everything from the temperature to the front door with one app. And since there’s no contract, you can add professional monitoring when you need it and opt out of it when you don’t. 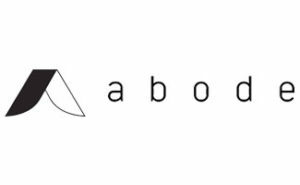 Abode also gives you the option to turn on monitoring for just a few days at a time, which makes it super affordable if you want professional monitoring during a short vacation or work trip. Ring offers inexpensive equipment and cheap professional monitoring if you ever decide you need it. Plus, the security system works smoothly with Ring’s other fantastic products, including the doorbell and security cameras. We always recommend choosing a system that can be professionally monitored because that means someone is watching over your home even if you aren’t there to hear an alarm or if your phone is on silent. Take a look at the best home security systems with professional monitoring. If you’re set on getting a system without monitoring, we suggest iSmartAlarm because it’s inexpensive, has lots of equipment choices, and lets you monitor everything from an app.